'This solution is particularly important to us because it was based on our new IIoT platform, SensorInsight®, and is deployed in East Africa for Oxfam,' said Steven Gerhardt, Managing Partner and CEO at Element Blue. 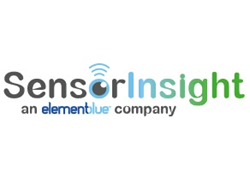 Element Blue™, a leading IT consulting firm and solution provider of IBM software products, today announced that it has been awarded the prestigious IBM Beacon Award for its SensorInsight platform solution. The awards recognize IBM Business Partners who have delivered exceptional solutions proven to drive business value and transform the way their clients, their industries and the world do business in the following industries: energy, public safety, transportation, water, building, social services and agencies. "We are honored to have received the Beacon Award for Community Service and its significance in the Industrial Internet of Things (IIoT). This solution is particularly important to us because it was based on our new IIoT platform, SensorInsight®, and is deployed in East Africa for Oxfam," said Steven Gerhardt, Managing Partner and CEO at Element Blue. Element Blue's Community Service Award entry is focused on its work with Oxfam International, a global organization working to right the wrongs of poverty, hunger and injustice. Oxfam saves lives, develops long-term solutions to poverty, and campaigns for social change. In Africa, Oxfam worked alongside local communities to expand the network of independent water points across Northern Kenya and Ethiopia. Lack of access to safe, reliable water is an ongoing problem in East Africa. With thousands of water points in place, Oxfam needed a system in place for monitoring and maximizing the efficiency of the water lifecycle. Providing visibility and trend analysis with SensorInsight, it allows NGOs and government agencies to respond more quickly to fluctuations and situations with the water supply. The Oxfam project is an example of how SensorInsight® with IBM's integrated software greatly improved aspects of water and resource management. Vincent Njorge, Element Blue’s Managing Director, Africa, accepted the award Wednesday night during the 11th Annual IBM PartnerWorld Leadership Conference in Orlando, FL. New this year are awards for cloud computing innovation and smart solutions for industry segments such as banking, insurance, retail, travel and transportation, energy & utilities, telecommunications, healthcare and government. These additions underpin the growing importance of developing the industry and technical skills needed to help clients increase business growth, customer satisfaction and profitability. IBM also announced winners of the new IBM ChoiceAwards, honoring Business Partners which have demonstrated business excellence in delivering IBM-based solutions. The 2016 award is Element Blue's fourth Beacon.